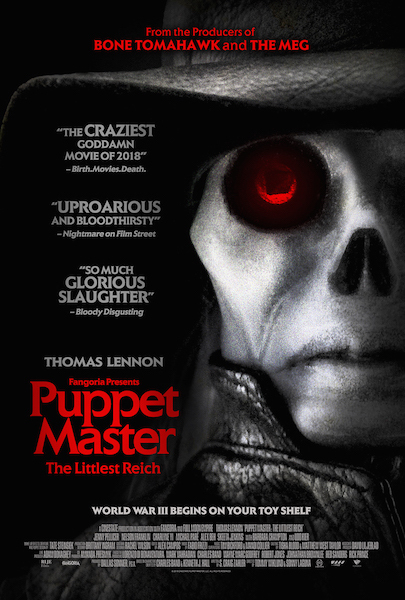 Check out the offensive to just about everyone Puppet Master: The Littlest Reich trailer. The film stars Thomas Lennon, Jenny Pellicer, Nelson Franklin, Charlyne Yi, Michael Pare, Barbara Crampton, Udo Kier. Sonny Laguna & Tommy Wiklund directs from a S. Craig Zahler script. When Edgar decides to sell a nefarious looking puppet at a convention, all hell breaks loose when the puppets come alive and go on a killing spree.